A woman listens during an event to discuss the presidential candidates for the upcoming election. 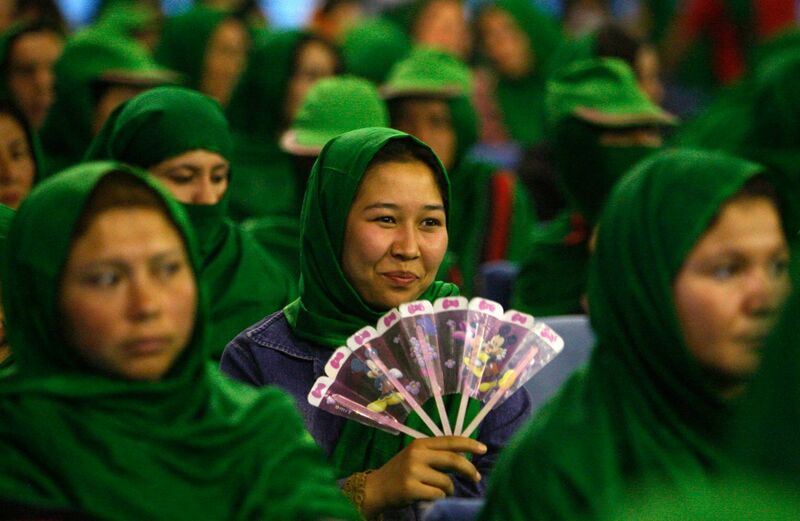 A woman listens to presidential candidate Ashraf Ghani Ahmadzai at an election rally. 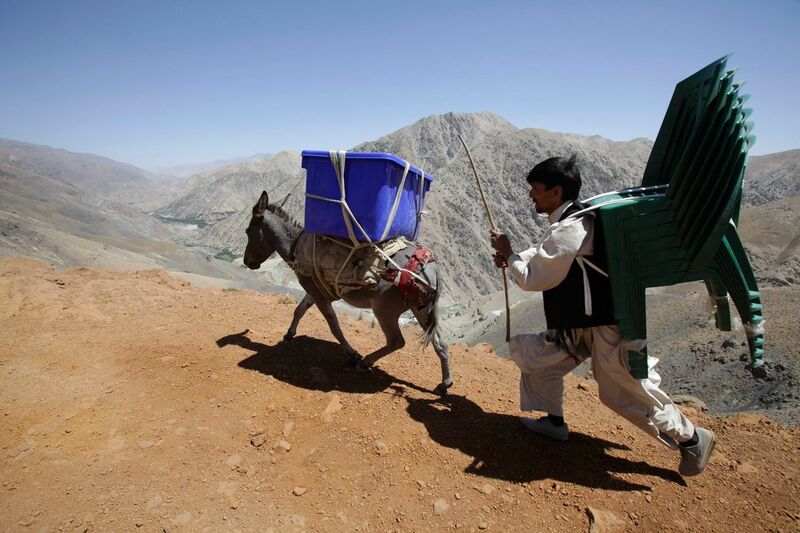 A man guides a donkey carrying election supplies to a rural polling station. 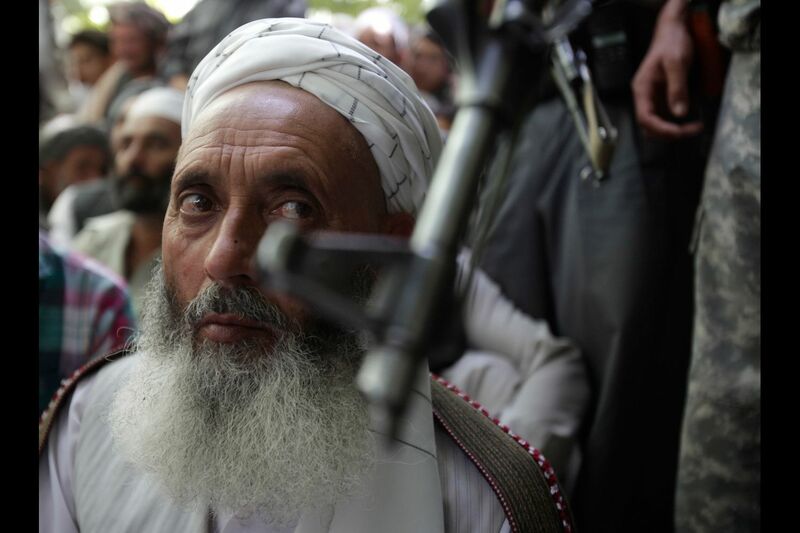 A man eyes the barrel of a soldier's gun as he waits to hear Afghan presidential candidate Abdullah Abdullah speak. 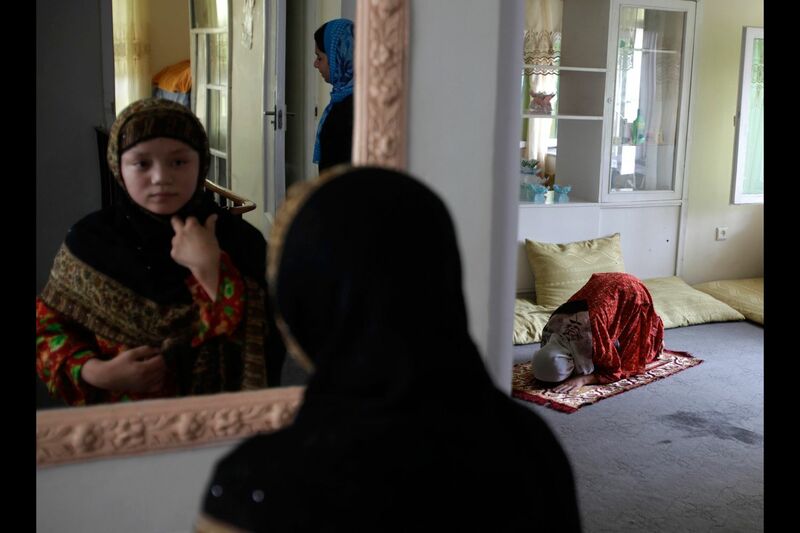 A woman prays at a shelter. 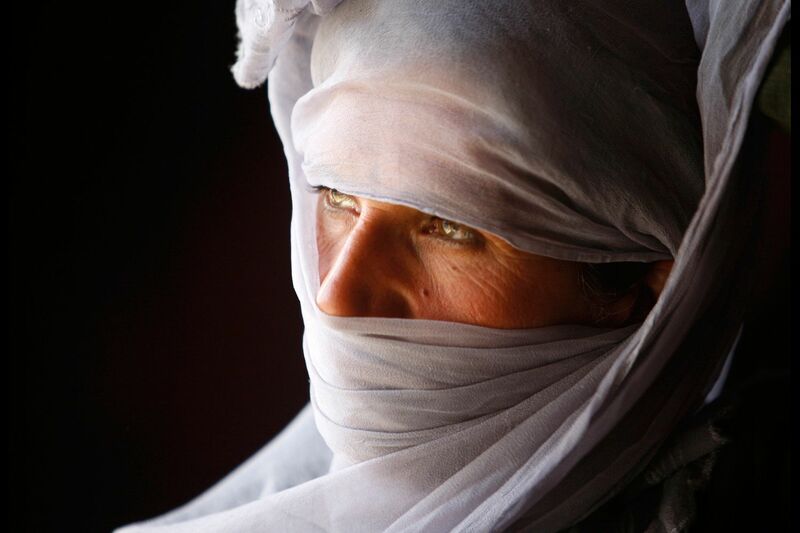 60-80 per cent of marriages in Afghanistan are forced, 57 per cent of brides are under the age of 16, and 87 per cent of women complain of domestic violence. 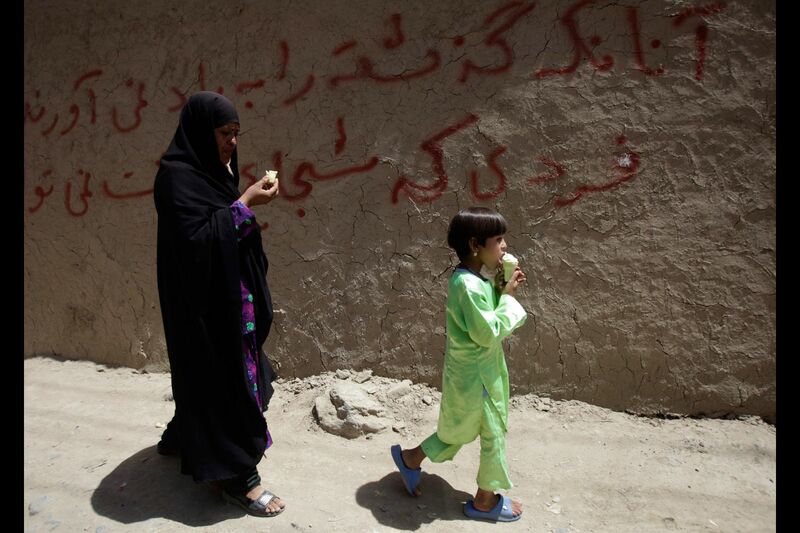 Afghan women suffer from the lowest literacy rate in the world, at 13. 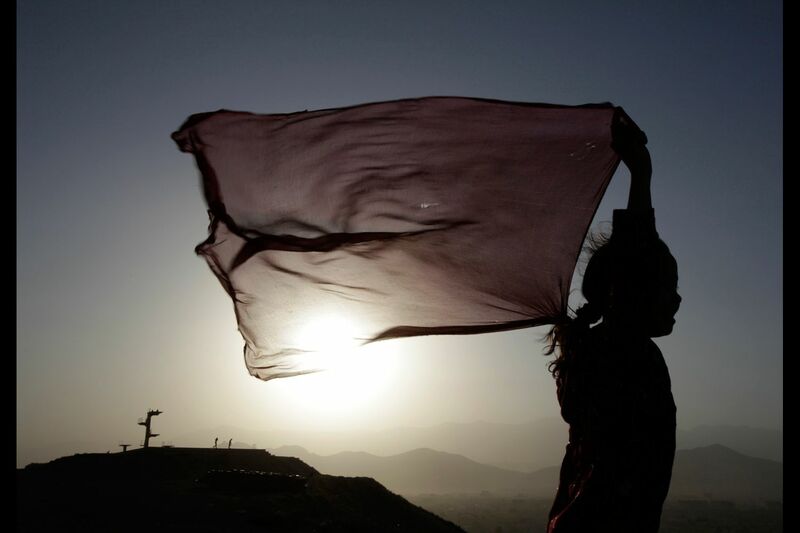 A girl holds her headscarf in the wind on a hill. 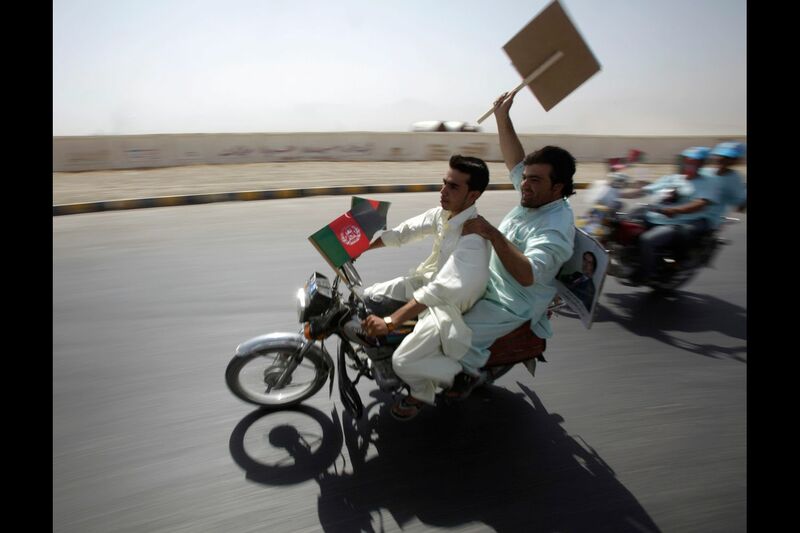 Supporters race to keep up with Afghan presidential candidate Abdullah Abdullah's convoy as he arrives to give a campaign speech at the Shrine of Hazrat Ali. 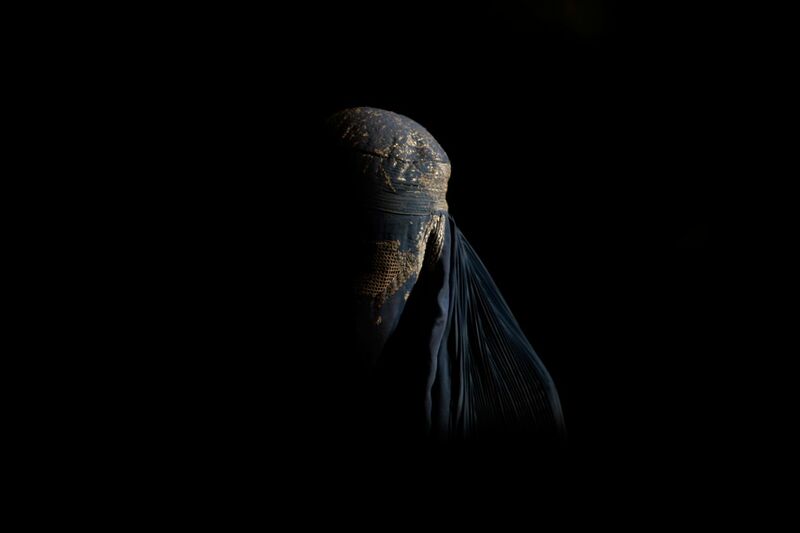 Women leave a rally after listening to presidential candidate Ashraf Ghani Ahmadzai. 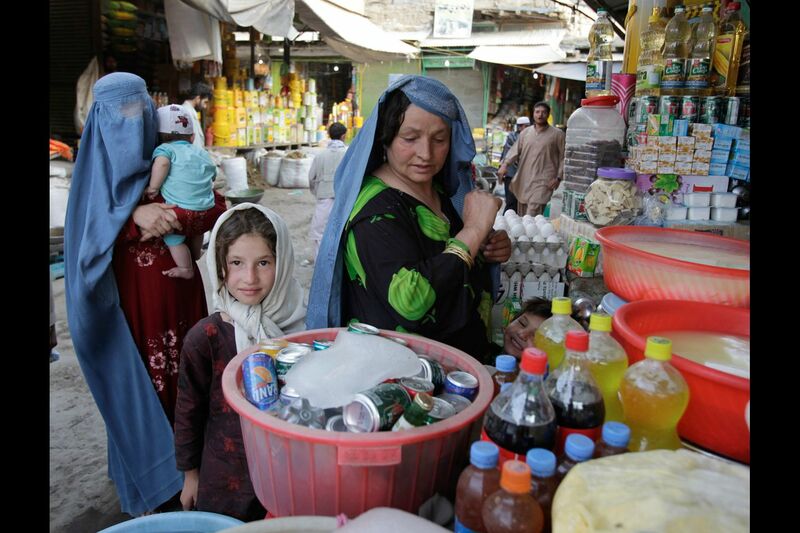 Women shop for groceries at a market. 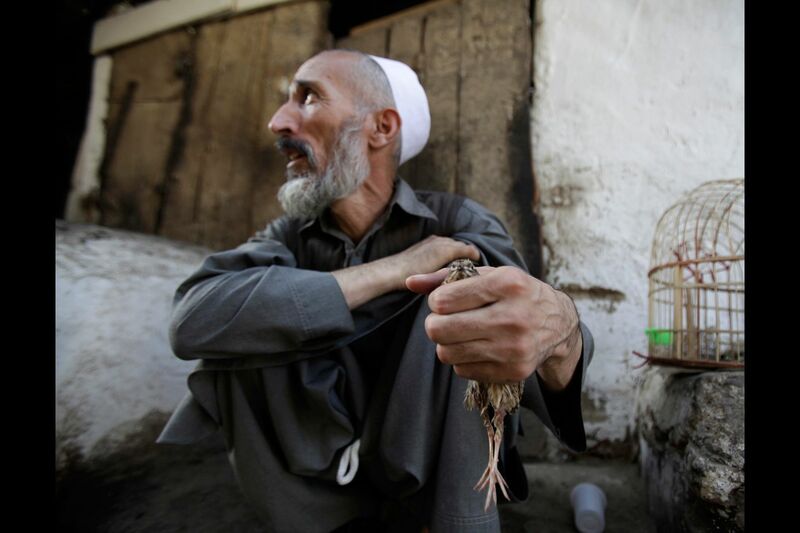 A man sells birds at a market. 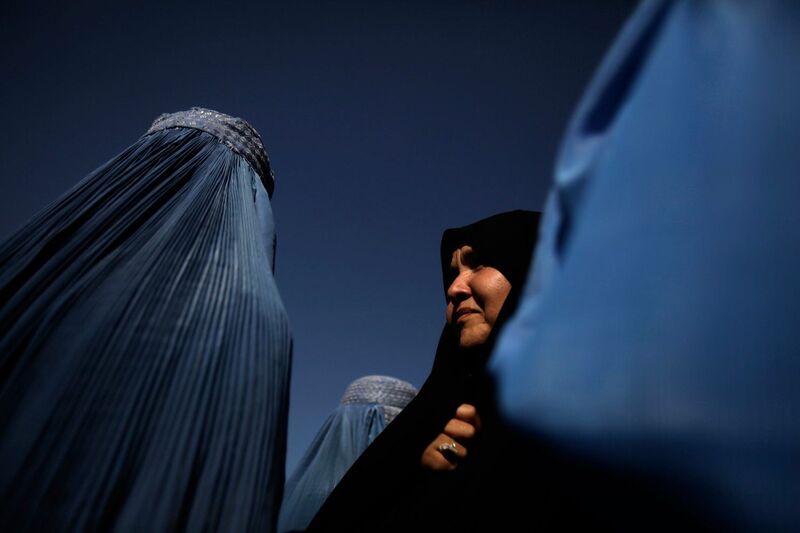 Women listen to speakers at an event to encourage Afghani women to vote. 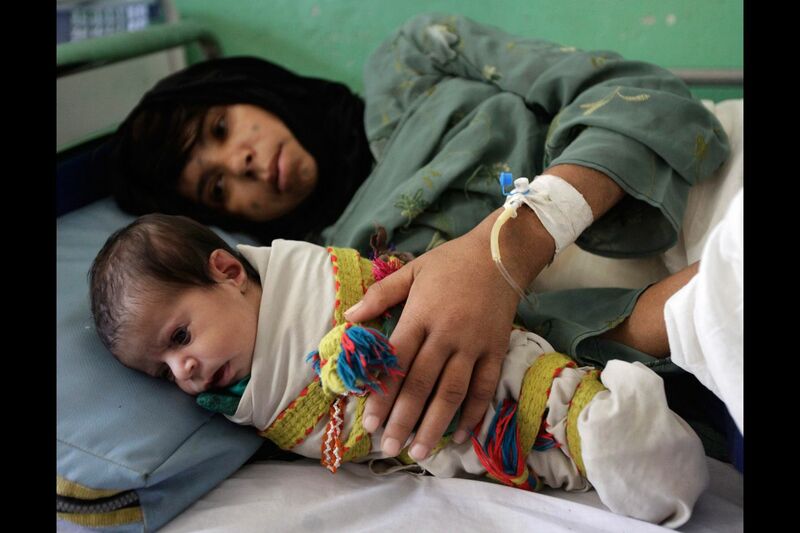 A woman lies in hospital with her baby after giving birth. 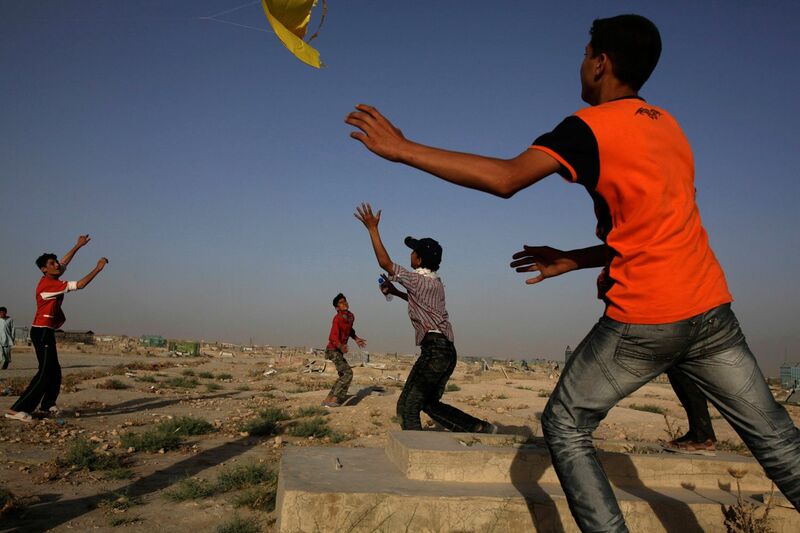 Boys fly kites in a cemetery. A woman and girl eat ice cream.